There's something about this season that just makes me crave big bowls of nurturing grains. I'm loving quinoa, barley, farro, and especially rice right now. 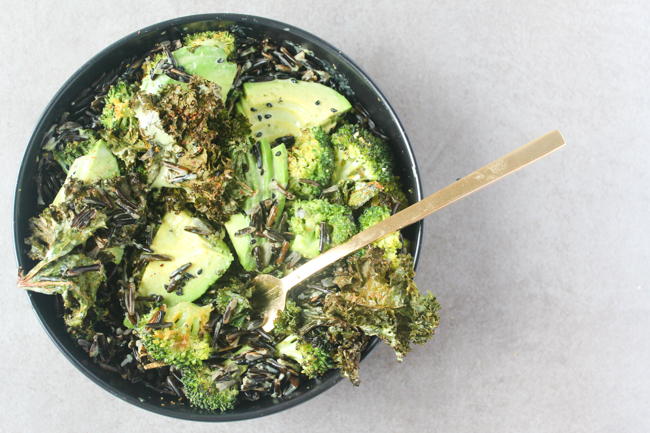 The black rice in this bowl is layered with nutritional yeast roasted kale and broccoli and then drizzled with a super simple coconut and basil cream sauce. 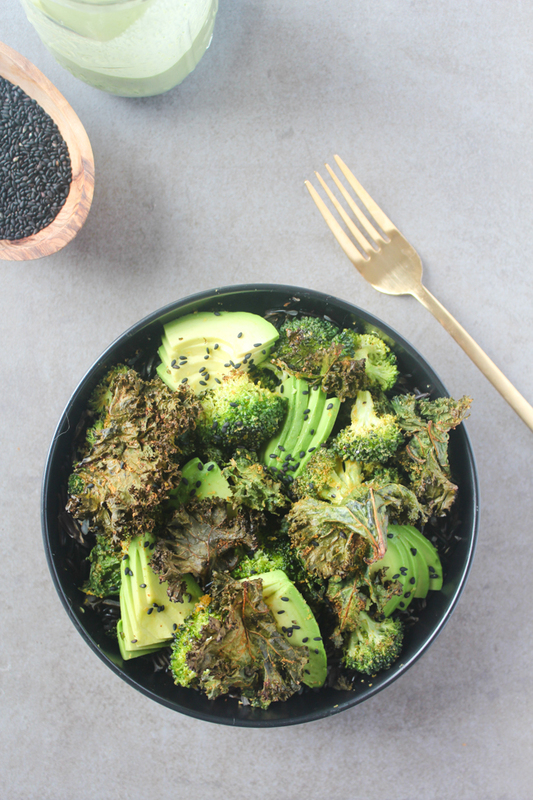 I first posted a recipe for nutritional yeast roasted broccoli as a side dish last winter and it was such a huge success among you all that I've been thinking of ways to incorporate it into a main. Nutritional yeast is a great way to get a cheesy flavor while still using a completely plant-based product. Kale also roasts amazingly with the same technique and comes out with a delicious cheesy crust. 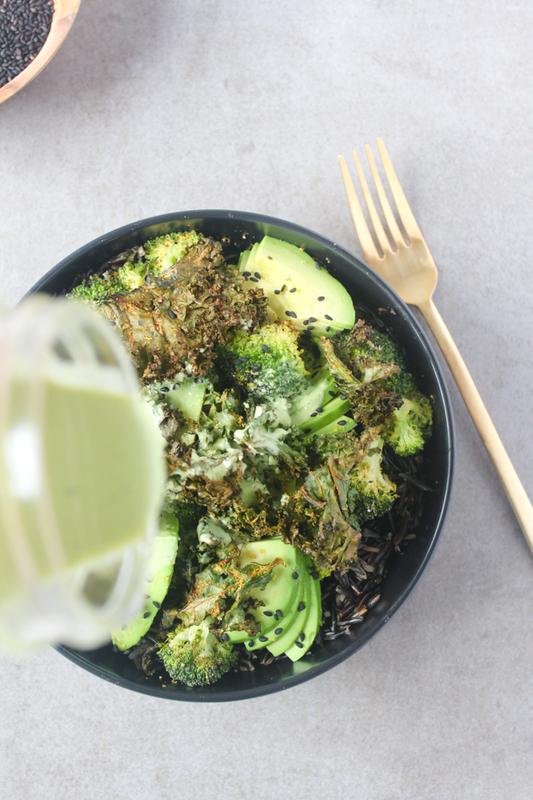 The textures of the crispy veggies and al dente rice are brought together at the end by the creamy coconut and basil sauce that is made with just two ingredients and sliced avocado. The result is a new favorite dish for the season. 1. Cook rice according to packaged instructions. 2. 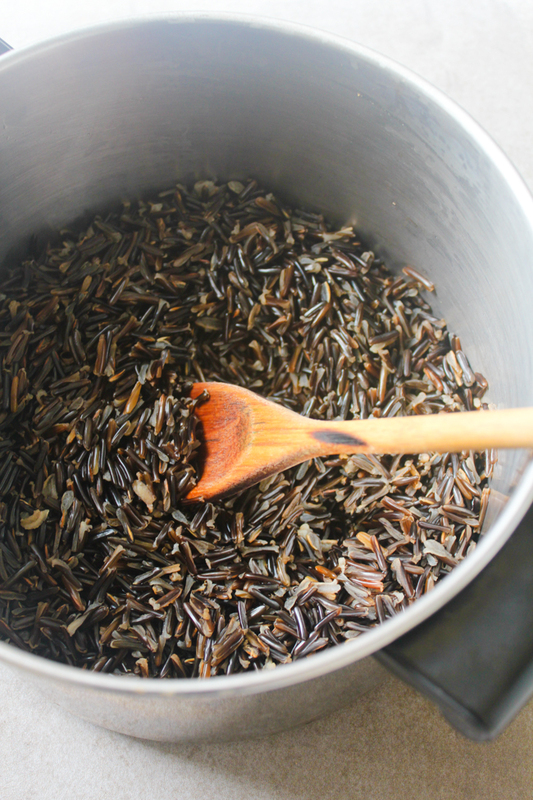 While rice is cooking, preheat oven to 425 degrees. 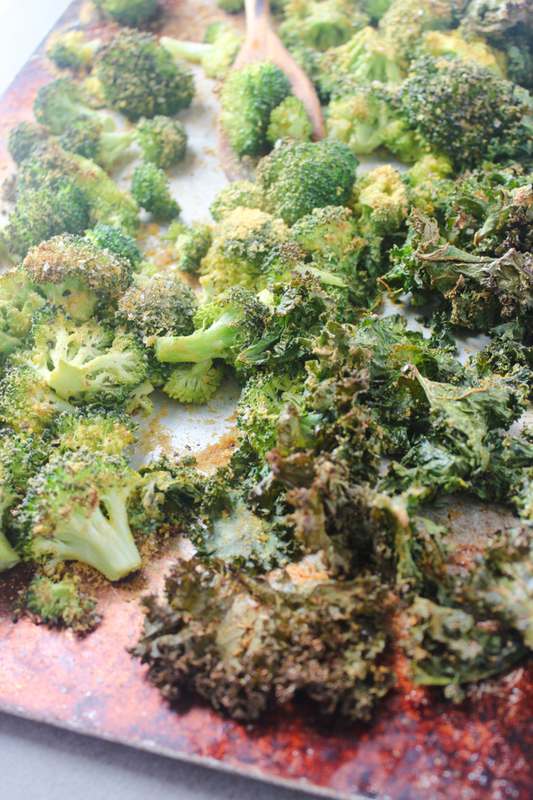 Add broccoli to one half of a large baking sheet and kale to the other half. Drizzle both with 1 1/2 tablespoons olive oil. 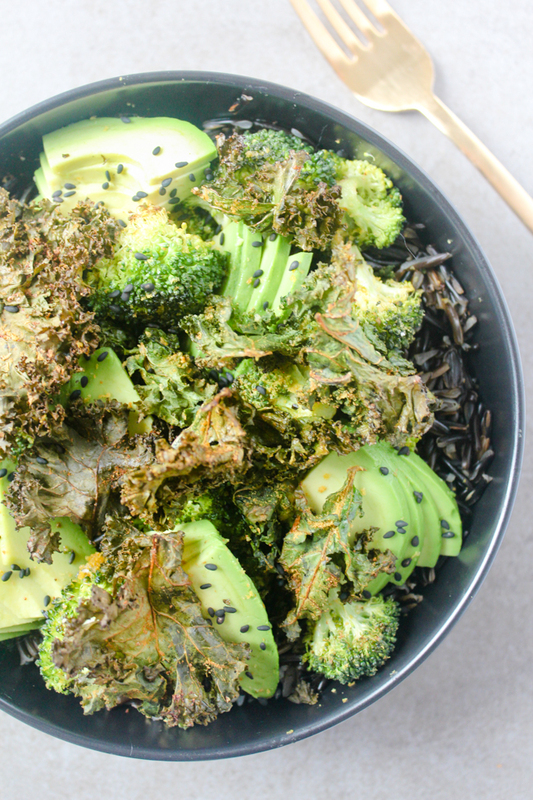 Massage the oil into the kale a bit with your hands before sprinkling both veggies with 1 tablespoon nutritional yeast. Stir veggies around a bit so they get an even coating before drizzling on remaining tablespoon olive oil and sprinkling on remaining tablespoon nutritional yeast. Finish with salt, pepper, and garlic powder. Bake for about 15-20 minutes until crispy, checking on it midway to see if the kale side needs to be stirred, do not stir the broccoli side midway. 3. 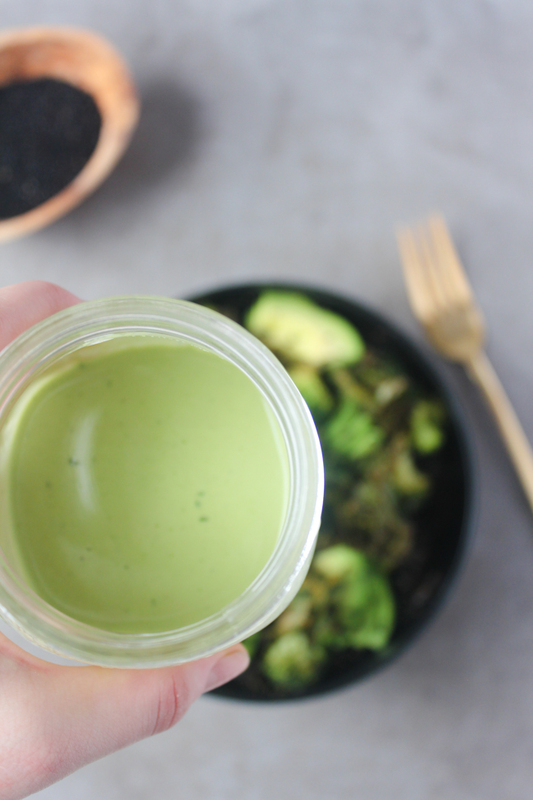 While the veggies are roasting, prepare your sauce by adding the coconut milk, basil, salt, and pepper to a blender and whizzing until smooth. 4. 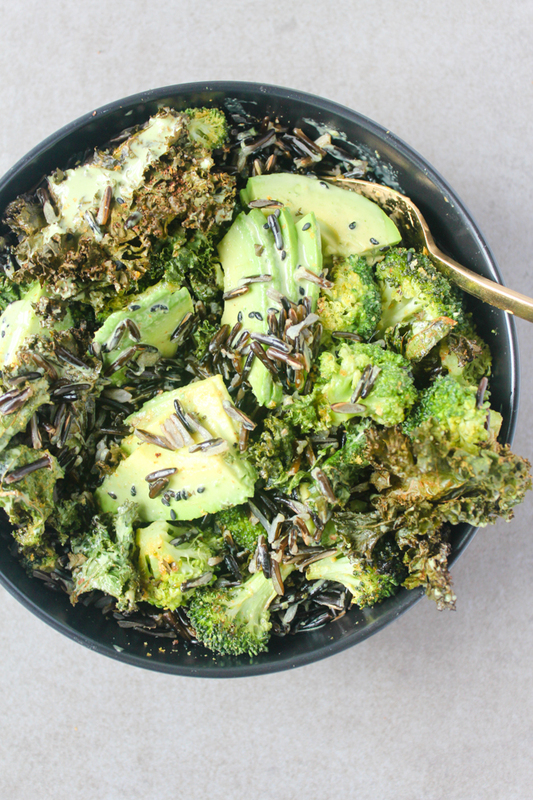 Divide rice between bowls, then top with veggies, a drizzle of sauce, and sliced avocado. 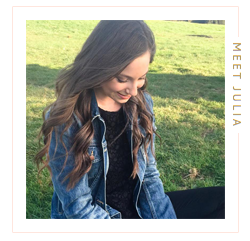 I loveee all your healthy creations! This looks amazing, especially that coconut sauce at the end, yummm! Thanks love! The coconut cream sauce is super yummy and so versatile! Yes! The combo with avocado is super delicious. Thanks so much for stopping by!